Mid-summer is here! It’s the season we’ve all been counting down to, summer sun, longer evenings, rose wine and of course stripping off the layers that winter demands for shorter hemlines and some bikini time! But if you’re anything like me, the lily whites are seriously unsightly and the unexposed flesh really requires some hard-core prepping. And when you go from 12 degrees one day to 24 the next, you need quick solutions. Nothing too demanding or too time consuming and has instant results – a good exfoliator and some self bronzing and you’ll be ready to show off those pins and have summer tanning sorted. Step one: Take a dry body brush (available at most pharmacies) and really work your legs from the ankles to your hips and for your arms, from the wrists to your underarms, and don’t forget the bingo wings, give ‘em a little extra love! Daily brushing is great for alleviating cellulite, increasing circulation and just general skin appearance, I don’t always have the time or remember but when it does come out, I make these times really count! 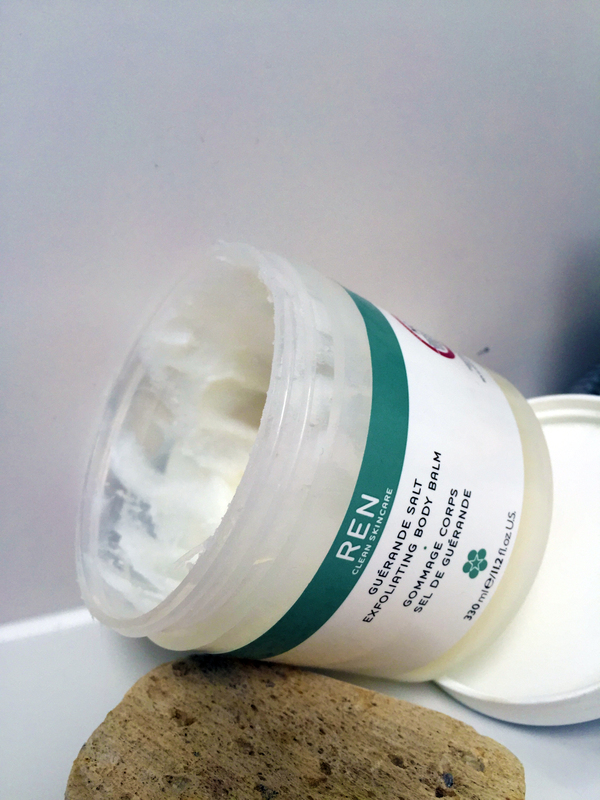 Step two: Plough your hand into the Ren tub (don’t be shy) and take a large handful of the rich salty mixture, now dry rub this all over your body, and scrub all that dead skin away. Jump into a shower or climb into a hot bath. 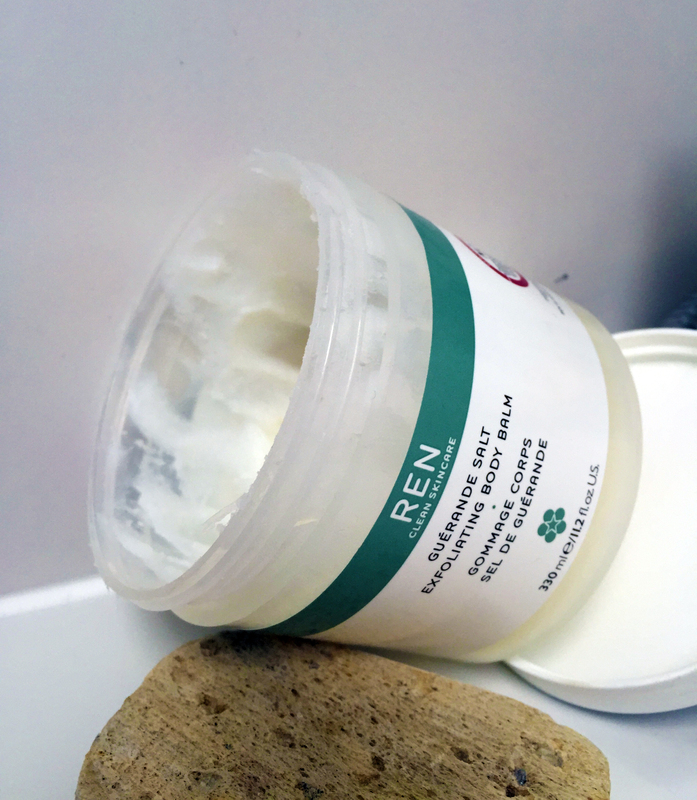 I tend to epilate my legs, but the best finish we all know is achieved with a sharp razor. 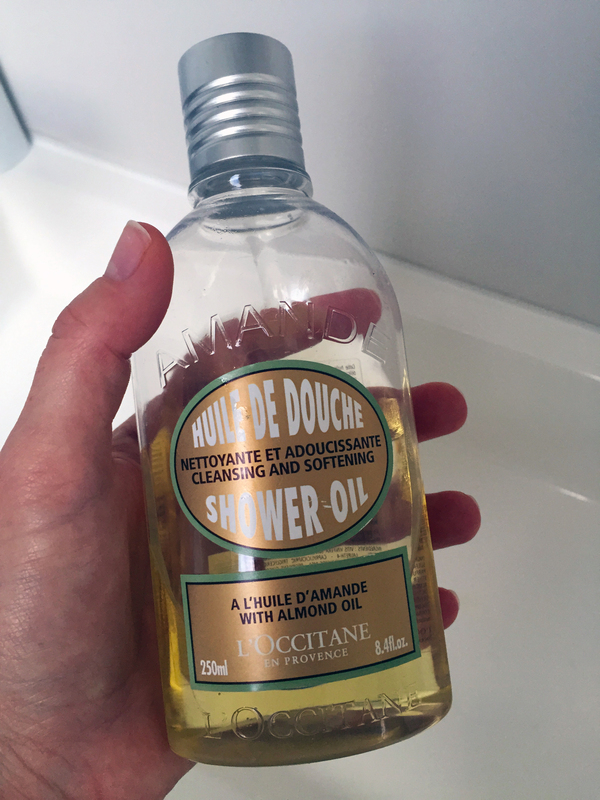 I don’t muck around with foams etc, I use L’Occitane Almond oil shower wash. And it works wonders, keeps you well moisturised while a further layer is scraped off. 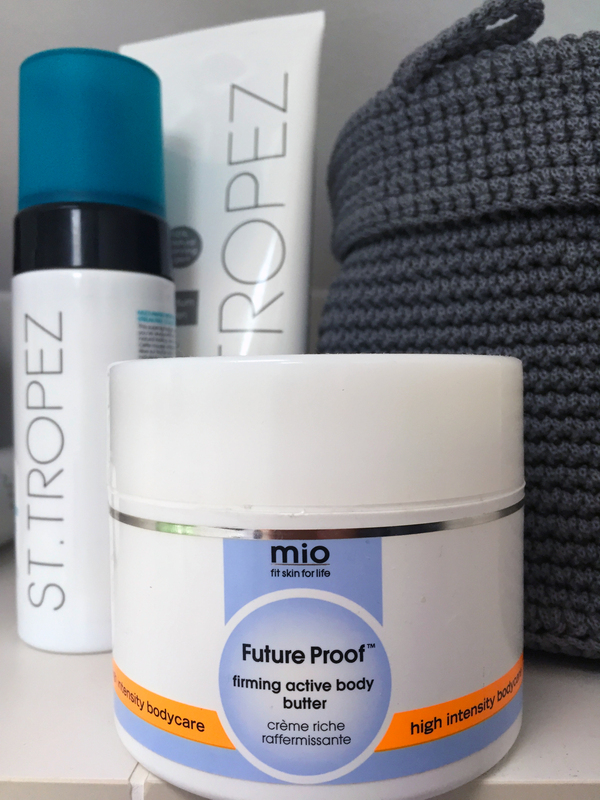 Now for the last moisture surge post your renewal, for this I can’t recommend Future proof Mio firming body butter enough – This is caviar for your skin. Adding the colour: The trick to faking it is in the product, when you apply it, and how you apply it, so to avoid streaking. My advice is to wait a night after you’ve buffed and smooth your skin before applying your self tan. I shower again in the morning and then dry off. I grab the Future Proof Mio to cover your knees, elbows, wrists, hands and neck – cause tanned palms and streaky wrists are not a good look! Then I take my ever faithful San Tropez Mousse and mit. Apply sparingly and always to the body, not the mit, just use the mit to blend like you would a foundation. Use a hair dryer to set and then you’re ready for the day, and pretty much the whole of summer sorted if you keep topping up with the San tropez everyday moisturiser. Happy bronzing! Let us know if you have any other beauty tips, self-tan stories or products you love – we’d love to hear your comments below.